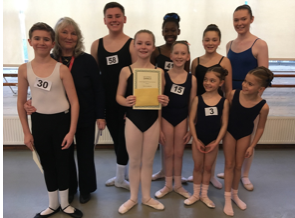 This very challenging and prestigious ballet competition which attracts a large field of talented young dancers from across the country to the Royal Academy Headquarters, consists of three demanding classes taken in front of a illustrious judging panel and large audience. Around twenty students in total were then selected to proceed to The Final including seven pupils from the Brenda Taylor School. But the success didn’t stop there! 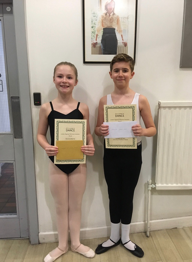 Jago Wright, aged thirteen was announced The Winner of The Musicality Award in the ‘Sallie Lewis’ division and then thirteen year old Charlotte Head was proclaimed the Overall Winner – winning a large monetary prize to be spent on furthering her dance studies.